This is based off of my real Sunbeam clock that I have on my wall. It is higher than the wall phone but lower than the fire alarm. There is clear plastic/glass between the frame and the face which gives it the illusion of a face just floating in the center. I added a glass subset to make it look closer to the real clock. It goes nicely with my Ashley Cataline furniture set. BobL's (aka boblishman) work on the School/Office Wall Clock made the functioning/time telling of this clock possible so big thanks to him! 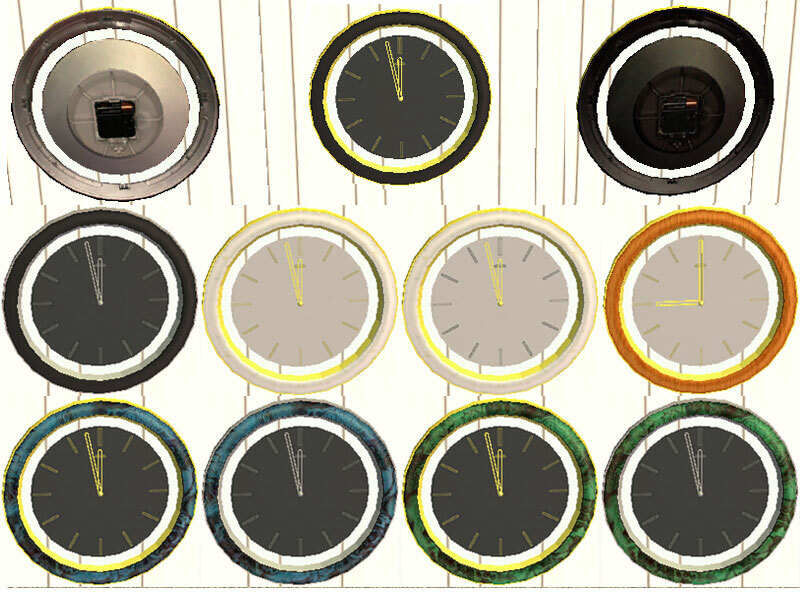 Here is a collage of the fronts of the clocks as well as the backs. The main mesh file, quartz recolors, and wood recolors have the gray/silver back while the onyxgold2 and other darker recolors all have the black back. 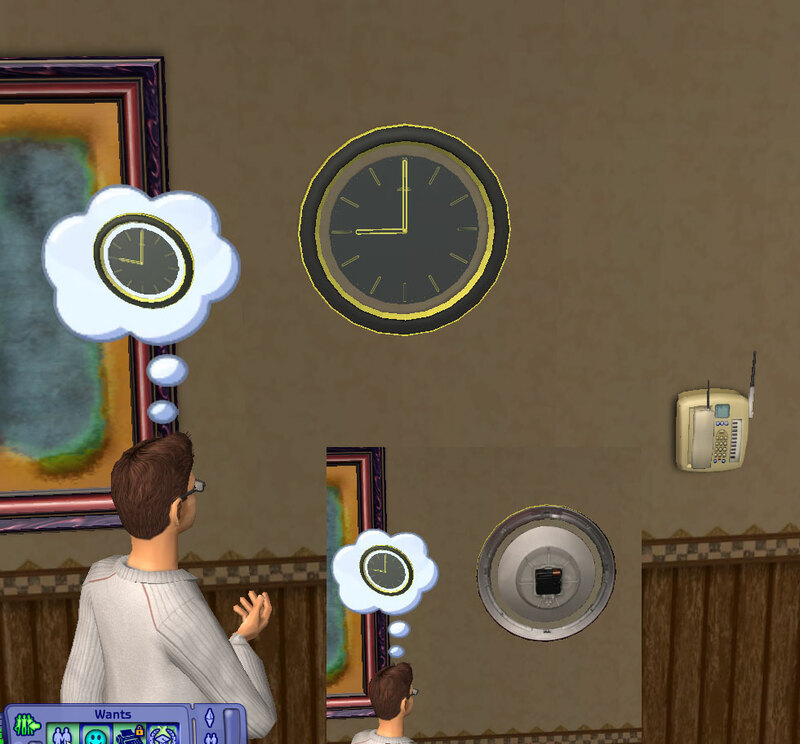 The second image is a shot I got when my Sim decided to go see what the clock was when I first placed it. I decided to keep the shot because I thought it was cool. Recolor/Distribution policy: Please feel free to recolor but also please let me know so that I can see the recolors, please do not upload the mesh without asking me first, do not upload to paysites as I want to be able to download recolors of it for free. You may upload this with lots but please let me know if you do so. I would love to see the clock in use. BobL, JasanaBugbreeder for downloading an early version of the clock and trying to troubleshoot why it wasn't animating, JohnB for helping with the testing process and giving invaluable feedback; HystericalParoxysm, Tiggerypum, whiterider, Stormwench, Star, Delphy, and the rest of the folks at the create channel for putting up with all my griping and whining about the clock and for giving me moral support and tips (such as looking at Boblishman's clocks). If I left anyone out, I apologize. 366 people have said thanks to suceress for this download.